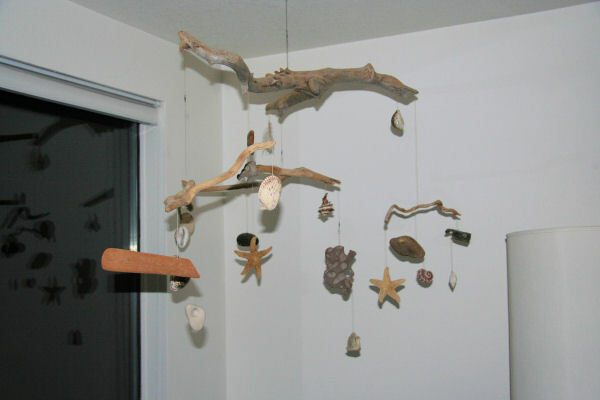 Bernice and I built this mobile from driftwood and rocks we found on a beach at Santa Cruz in California. It became quite a struggle to get things to balance. We spent much of the time trying various combinations to obtain the right balance. We eventually glued some rocks on a piece of driftwood to get things balanced. It was a fun time to win at the end.